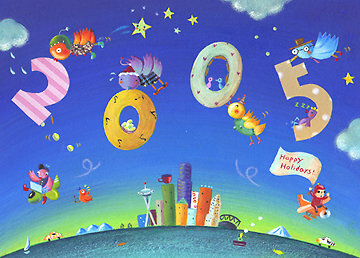 New Years card designed by Sachiko. Sachiko gives Kinu a kiss. Kinu dresses up at Halloween; she was one year old this year! Wayne and Kinu at the beach. Kinu frolicking in the kitchen sink.